According to analysts, market was range-bound due to weak global cues. Investors are also awaiting Consumer Price Index (CPI) data on Monday, which is expected to come down slightly due to recent cut in fuel taxes and fall in oil prices. Brent crude oil futures breached the $70 per barrel mark and were trading 1.08 per cent lower at $69.90. 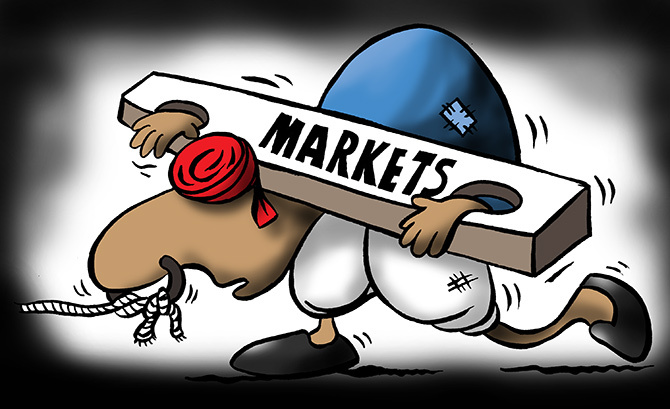 Elsewhere in Asia, Shanghai Composite ended 1.39 per cent lower, while Hang Seng Index fell 2.39 per cent and Japan's Nikkei closed 1.05 per cent down. In Europe, DAX was down 0.49 per cent and STOXX50E rose 0.69 per cent.